It’s 0859 and I’m on my 2nd cup of coffee. I’ve already done a short stint in LolyKat and now I’m here figuring things out. Rich and I are doing what we can get get this site up next week. I’ve got more work to do than I knew. I hope Lita will cut me some slack on the store watching detail. The store is suppose to close down on 15 April anyway. In case you don’t read it in the comments, they are considering putting up a zip line at Hindag-an Falls and Forest Park. From what I hear it is suppose to start from up in the mountain behind it and run all the way to the parking lot. I assume no splashing in the water on the way. There is no timetable on that yet, it’s all in the thought stage and the owners are looking for a sponsor for it. 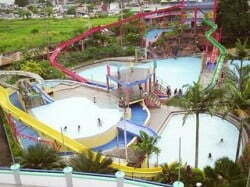 The City of Dasmariñas (Filipino: Lungsod ng Dasmariñas) is a first class city in the province of Cavite, Philippines. 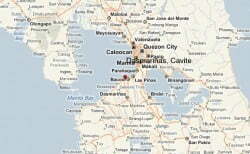 It is located approximately 30 kilometers south of Manila. According to the 2007 census, it has a population of 556,330 people, making it before the most populous municipality in the Philippines before it was converted into a city. Dasmariñas is now the 11th largest city in the country in terms of population. It has a land area of 90.1 square kilometers (34.8 sq mi). Dasmariñas City used to be part of Cavite‘s second congressional district until June 30, 2010. The city has now its own legislative district, although that district is still part of the representation of Cavite (Cavite’s 4th legislative district will also be known as the Legislative District of Dasmariñas. It is also the second largest component city in terms of population (556,330 as of 2007), next only to Antipolo. Such population is enough to warrant Dasmariñas another congressional district, and by then deem it independent from the representation of Cavite if the move prospers. 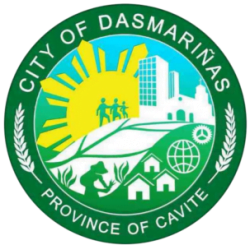 Dasmariñas is the wealthiest local government unit in the province of Cavite according to the 2006 Commission on Audit report. In addition, prior to its conversion into a city, Dasmariñas was the only municipality in the Philippines that had both an SM and Robinsons Mall. Well Crap! Now that I’m ready to start watching those videos from Rich, they don’t work. They were a little slow yesterday, but it’s been 10 minutes now and there is nothing. Wait there it goes, but it’s too slow. Now it stopped again. I’ll just wait until later tonight, maybe it’s an overload of work for this poor circuit. 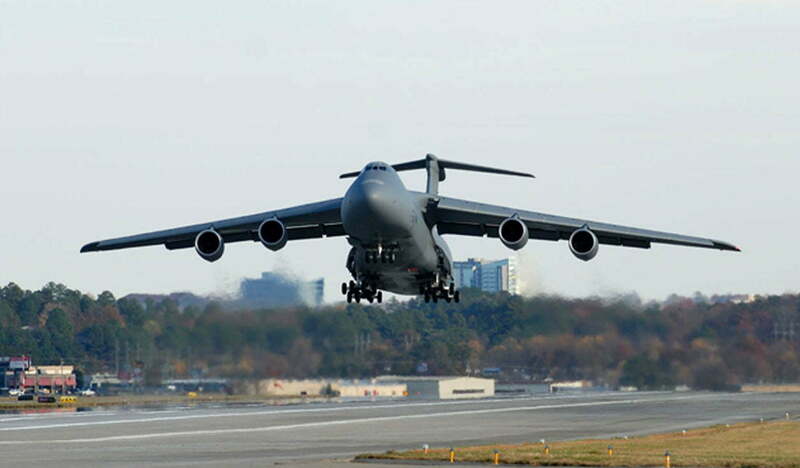 I looked at some of the Facebook websites for Space A and we will be missing 2 more flights heading to Fort Hood. There is 1 today from Seattle and 1 tomorrow from Travis AFB. Man I hope we get lucky for a flight going to Fort Hood. Having to pay $30 for a taxi fare versus paying $1300 for airfare is not a contest in which one we would prefer. We can only wait and hope, plus be prepared to stay in overnight in a place or 2 before we finally get to Texas. Space A can work, if you patient and lucky. At 12:45pm Lita decided to take a nap and since I wasn’t doing anything else at the time, I’m in LolyKat. I know why she is taking a nap now. She’s doing it for me. She wants to be sure to have enough strength to make my chicken wraps later. I walked into the bedroom at 1:40, trying to be quiet, and woke Lita up. She said that she would get up and start prepping the food around 3:00pm. I’m a little hungry now, so I had a peanut butter sandwich (oh ok 2 peanut butter sandwiches) and a Mountain Dew. She ended up getting up a little early, around 2:30pm. I got out my Cryptogram book that I found in a suitcase and I did 3 of the puzzles pretty easily. Maybe I’m a genius. Maybe not, I spelled “genius” wrong in the last sentence and had to rely on spell check to save me. When I went into the kitchen to check on Lita and see if she needed any help, I saw that she was putting 2 of those peppers in the chicken. So I’ll probably catch on fire when I bite into one. She cooked one for me and I gave it a try. Nah! It wasn’t that hot. The jalapenos are hotter (and taste better). Problem with her letting me taste one before she got finished with them all is now I want another one. She wants me to wait until the rice is done. I think she should have started the rice long ago, not just starting now. I’m going to get another one. There are 4 all together. I’ll eat 1/2 now and 1/2 when I get the rice. She also made one for Titing/Neneng and they liked it also. Even they said it wasn’t too hot. She made one for Cathy also, but minus the peppers. Cathy don’t do hot. I haven’t heard anything from her on whether or not she liked it, but I’m sure she did. I’ve been so busy with the new blog stuff and reading news that I almost forgot to update my notes. It’s 9:19pm now and with the help of Rich, I’ve got those videos running now. It had him confused for awhile to, but after a download and if I use Windows Media Player, they work fine. They won’t work with any of the other players I have installed. There is something wrong with the first video because it still doesn’t work, but the ones after that seem to be having no problem. Or 15 hour scheduled brown out starts in less than 6 hours, so if I’m able, I could be up until right before it happens or even right until it happens. Lita was watching TV and the cable went out. She got up to wash her hands and found out the water was off too. Why in the hell do these people put up with this without causing a stink? There’s no cable, no water and in 5 1/2 hours there will be no power for at least 15 hours. Maybe we should just all go to the beach or the Marju Krisel pool would be better for me. I’ve still got other things to do tonight besides this post, so I better get to it now. Unless something spectacular happens later, for this post, this is the last word.